The explosion of a crude bomb at the historic Mecca Masjid in Hyderabad in May 2007 had left nine dead and at least 58 injured. New Delhi: A special National Investigation Agency (NIA) court in Hyderabad today acquitted all those accused in the 2007 Mecca Masjid blast which left nine dead. On May 18, 2007, the explosion of a crude bomb, planted allegedly by the Hindutva organisation Abhinav Bharat, also injured at least 58 when thousands of people had gathered for Friday namaz at the Mecca Masjid, considered to be one of the holiest Muslim shrines in south India. The acquittal has raised doubts about the independence of the investigative and prosecutorial process in cases where the accused share ideological, political or organisational connections with the ruling Bharatiya Janata Party and its ideological parent, the RSS. This, however, is not the first time such doubts have been cast. In June 2015, Rohini Salian, a senior Mumbai prosecutor had accused the NIA of asking her to “go soft” on the group of Hindu extremists accused in the 2008 Malegaon blast case. Notably, some of them were also charged in the Mecca Masjid blast case. Salian had at the time said she had received verbal instructions from the NIA asking her to give the accused an easy ride. The investigative agency had, however, denied Salian’s allegations. The Mecca Masjid case has faced several setbacks. After initial investigation by the local police, the case was transferred to the CBI, which filed a chargesheet. 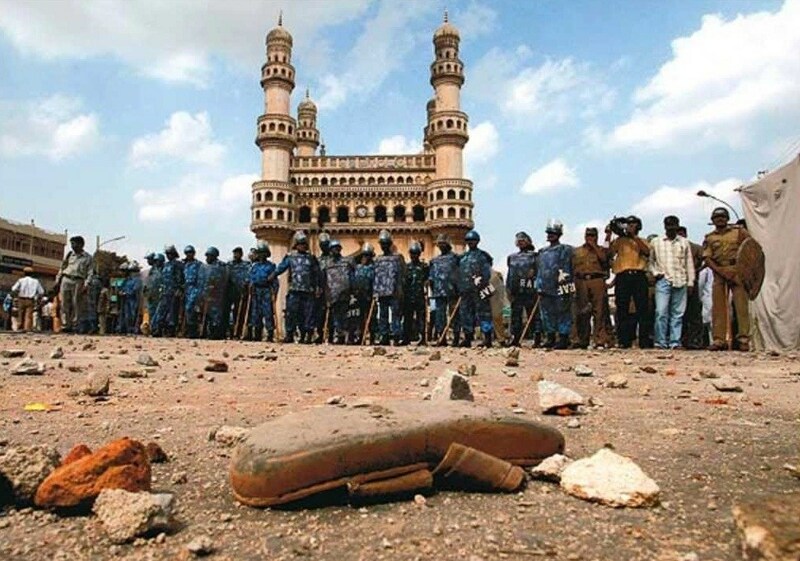 The Hyderabad police arrested a number of Muslim men following the blast and later admitted to torturing many of them. The men were all eventually released and paid a total of Rs 70 lakh in compensation. The CBI examined 68 witnesses, but 54 of them – including Defence Research and Development Organisation scientist Vadlamani Venkat Rao – had turned hostile. Subsequently, the National Investigation Agency (NIA) took over the case from the CBI in 2011. Ten persons allegedly belonging to right-wing organisations were named as accused in the case. However, only five of them – Devendra Gupta, Lokesh Sharma, Swami Aseemanand alias Naba Kumar Sarkar, Bharat Mohanlal Rateshwar alias Bharat Bhai and Rajendra Chowdhary – were arrested and faced trial in the case. A key accused and RSS functionary, Sunil Joshi, was shot while the case was being investigated. Aseemanand, who is the primary accused in a number of bomb blasts including Mecca Masjid, Ajmer, Samjhauta Express and Malegaon that occurred between 2005 and 2007, had walked out of Chanchalguda jail on April 1 after the NIA chose not to challenge the trial court order granting him bail on March 23.